The article didn't say how many of those dead people are estimated to have participated in the 9/11 attacks but I'd say that a reasonable estimate would be maybe 10 or 20 at the most. That would mean that 498,980 people who have been killed by the U.S. death star since 9/11 had absolutely nothing to do with the 9/11 attacks. Moreover, those half-a-million deaths don't include the hundreds of thousands of people who have been killed in the U.S.-incited civil wars in Syria and Lebanon. That's a a lot of dead people at the hands of the U.S. national-security state. It's surely got to be some sort of record. And it hasn't stopped. 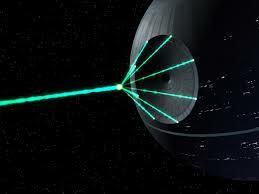 The U.S. death star continues operating apace. Somalia? Yes, Somalia! Why Somalia? Well, apparently all those dead people in Somalia were considered to be threats to U.S. "national security," whatever that term means, and therefore needed to have their lives snuffed out by the U.S. death star.